First and last name of participant(s) for their name tag. Please separate multiple names by comma. Live in the Freedom of Your Authentic Self! 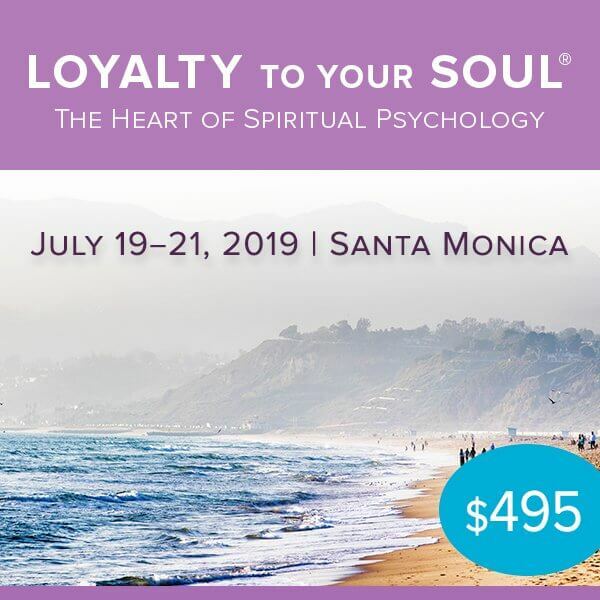 The Loyalty to Your Soul® weekend workshop is designed to provide participants with a foundational experience of the Principles and Practices of Spiritual Psychology, as developed and taught by Drs. Ron and Mary Hulnick of the University of Santa Monica (USM), the Worldwide Center for the Study and Practice of Spiritual Psychology® to more than 6,000 graduates over the past 35 years. For USM students and grads, this workshop is a great way to share USM with family and friends! Spiritual Psychology, as learned and practiced through USM’s Soul-Centered educational approach is heartfelt, relevant, practical, highly experiential and transformational—in plain English, it is life changing. The skills you will learn in this Workshop are tools not only for personal transformation and Spiritual Awakening but also for becoming more interpersonally effective. Discover and explore what life is like when considered from within the context of the Soul’s reality, and understand how to use that Awareness in grounded and practical ways to live a more fulfilling life both personally and professionally. Replace a chronic victim-centered “I’m upset because …” view with an empowering Learning Orientation to Life. Learn the Principles of Spiritual Psychology and practice seven Soul-Centered Basic Skills for Seeing Through Soul-Centered Eyes, which will transform the way you see, approach, and experience all aspects of your life. Experience how a Soul-Centered approach utilizing the Principles and Practices of Spiritual Psychology automatically results in you experiencing more Love, Joy, Compassion, Acceptance, and Peace. Learn what it means to be Loyal to Your Soul! A refund is available less a $100 administrative fee if you notify USM at least 24 hours prior to the start of the event.